Google getting re-birth on WWW with new look and feel, Google changed its all Products Look and feel, its change on ever Product of google. Google is on a roll the weak. 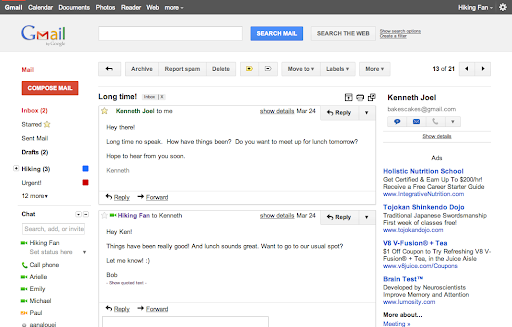 It took the tech world by storm with Google+, freshened up the user interface of Google Calendar and just unleashed a new design for Gmail. Earlier this week, the Google blog promised that there would be a few tweaks coming to the Google homepage, Gmail and other Google applications. And voila! 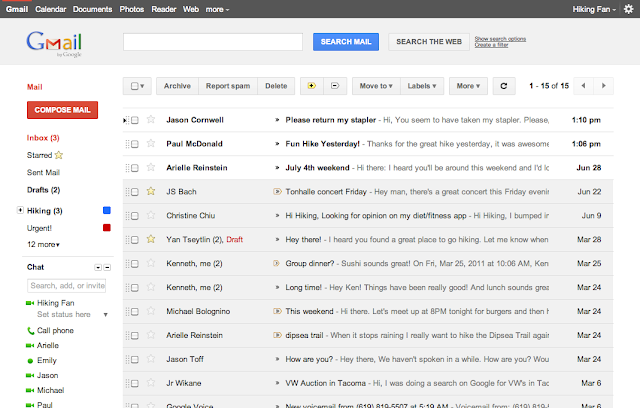 They're kicking things off by letting you test out a brand new Gmail layout. It has Google's signature coloring all over it, and looks sneakily similar to the insides of Google+. We’re kicking things off with two new themes for you to try out as a sort of sneak peek at what we’re up to. 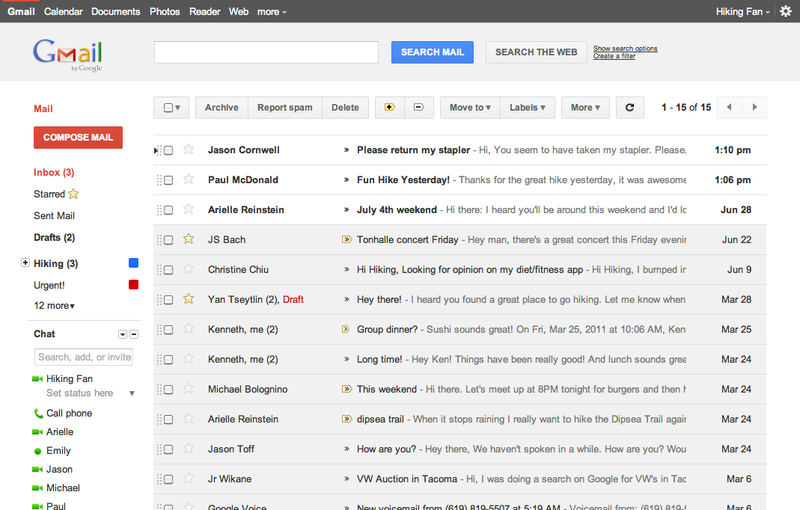 Starting today, you’ll see the “Preview” and “Preview (Dense)” themes in the Themes tab in Gmail Settings. Why two themes? Our new interface will eventually expand dynamically to accommodate different screen sizes and user preferences, but until then you can pick the information density that you prefer. To convert to the new preview, head over to the Gmail settings gear icon in the top right corner, select Mail Settings, and look under "Themes," towards the end of the list.